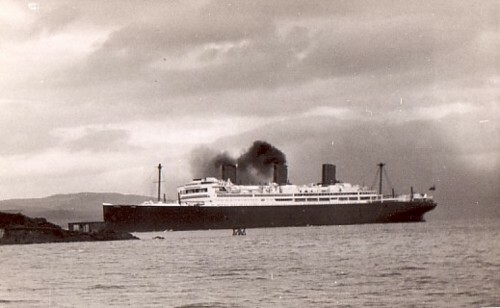 Great real photo postcard of the Caledonia, ex-Majestic, arriving in the Firth of Forth. 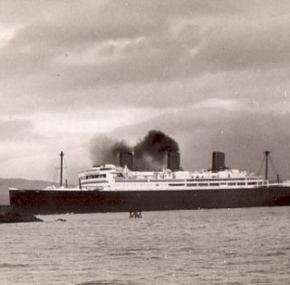 Note her cut-down masts. This was done in order to get the ship under the amazing Firth of Fourth Bridge. Unused with a date written on the back that looks like April 10, 1937, the day she arrived in Rosyth.